First there was Normcore and now we have Dadcore. Yes, if ever there was proof of the unpredictability of fashion, it is certainly the sudden ubiquity of ‘dad-dressing’ on virtually every catwalk from Balenciaga to Gucci. Traditionally, when we think of ‘dad style’, there is a tendency to think of the term as somewhat oxymoronic; envisioning oversized blazers, dodgy baseball caps and unapologetically ‘uncool’ trainers. Yet, this is almost exactly what the trend is about, but these items have all now been reappropriated by the fashion cognoscenti and elevated to the must-have look of the moment. Of course, the trend should probably be approached with the irony in which it is intended, and could well act as a metonym for the frivolity – or perhaps the fickleness – of trend-driven dressing, but there is actually a lot to be said for a return to basics. It will probably always remain a fact that sandals with socks never really work, but there are elements of Dadcore that do work well in a contemporary wardrobe. After all, there’s a lot to be said for comfort! While this is a trend that has steadily crept onto the runways over the last number of seasons by way of old-school prints and a return to the 1980s and 1990s, Demna Gvasalia’s SS18 collection for Balenciaga – which was inspired by young dads with their children in the park – really cemented Dadcore as the trend du jour. 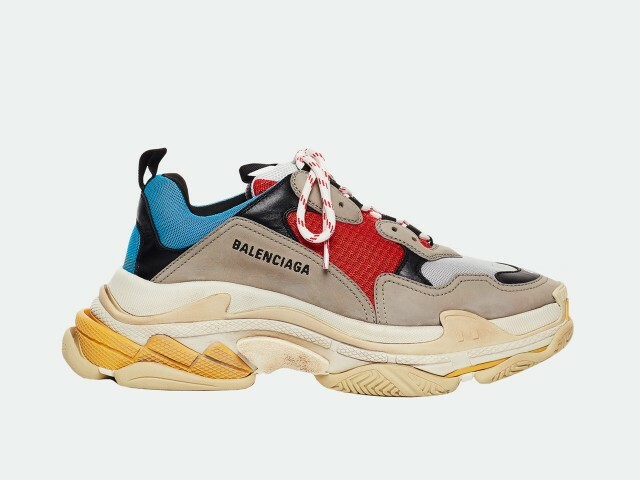 Balenciaga’s Triple S trainers have in many ways come to define the look, with the ‘ugly trainer’ becoming one of the trend’s signature motifs. These may be on the more ostentatious end of the spectrum; if you are looking for a more toned-down option (and accessible price-point), head to brands such as Saucony, New Balance or Reebok for a similar aesthetic. 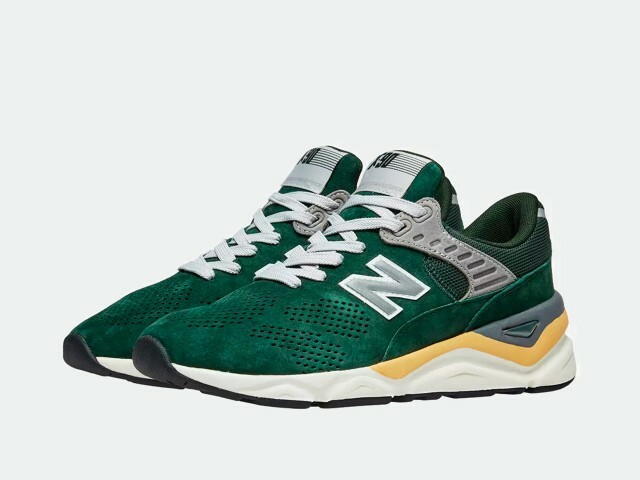 The MSX90 sneakers from New Balance with their chunky sole and old-school colour scheme may not seem like your father’s first footwear port of call, but they embody the spirit of Dadcore with an added element of playfulness. The thing about Dadcore is that it takes its cues and inspiration from our fathers’ wardrobes, rather than acting as an invitation for complete replication or blatant copying. There are certain items for which our fathers may hold a certain predilection that are downright unflattering and should probably be avoided at all costs – e.g. bootcut jeans. While these rightfully remain a fashion faux pas, there is definitely a happy medium between the dreaded bootcut and the drainpipe skinny. Opt for a straight-leg pair of jeans with a slightly tapered leg to create a more streamlined silhouette that still feels comfortable, but is more flattering for virtually all body shapes. Avoid pairs that gather around the bottom of your leg and make you look shorter. Swedish brand Weekday offers a great selection in a dark indigo denim – an essential Dadcore item. Pair with old-school trainers and refrain from rolling your cuffs to achieve the innate laid-back ethos your dad would favour. One brand that does Dadcore really well is David Beckham’s Kent & Curwen, which is probably not a surprise considering the involvement of one of the world’s best-dressed fathers – and one of the few men who can actually pull off socks and sandals, as October’s British Vogue can testify. Kent & Curwen’s rugby-inspired and workwear shirts are both classic items that act as useful layering pieces, but more importantly, they won’t date as the fashion seasons progress.